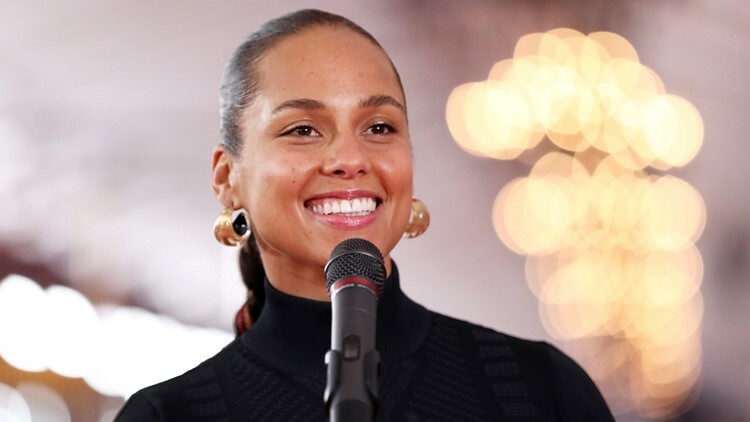 NEW YORK — Alicia Keys is set to be the first woman in 14 years to host the Grammy Awards. Ahead of music's biggest night on Sunday, the 15-time Grammy winner and 29-time nominee sat down with CBS' Vladimir Duthiers to talk about how this year's awards will be the "sickest" yet. Keys wrote her first song at 11 years old. Then in 2002, she won song of the year for "Falling." She told CBS the moment she accepted the award on stage felt "like the best dream you could have ever dreamed of." About this year's performances, which include Janelle Monae, Red Hot Chili Peppers, Miley Cyrus, Cardi B and Post Malone, Keys said it feels like "kind of the sickest year" yet. "It just feels like the different variety of people that are performing are all exciting," she told CBS. You can watch the 61st annual Grammy Awards on 10News/CBS at 8 p.m. Sunday. The ceremony is at the Staples Center in Los Angeles.